Mac OS X users receiving and installing updates through App Store usually. 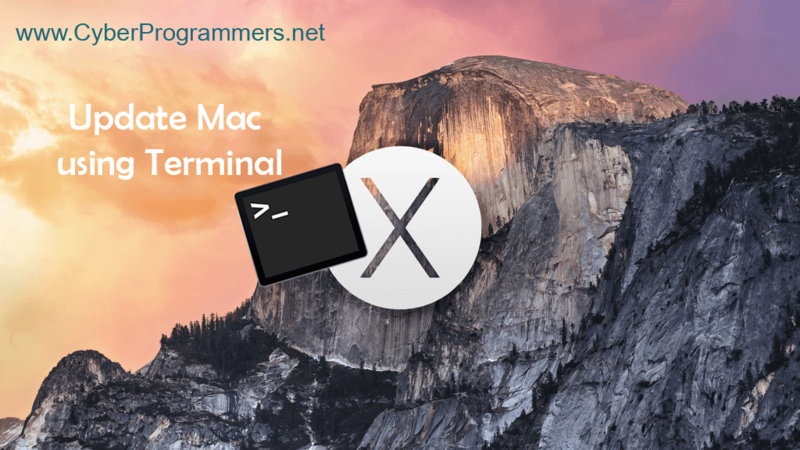 But there is a method to check for updates and install them using the terminal on your Mac OS X. First of all open terminal. Now to see the list of available updates use this command. Now to install all updates from updates list use next command. If you want to install specified updates use next command. Of course, replace the Safari-8.0.5 with the update you want to be installed. To ignore some updates use next command. Do not forget to replace the Safari-8.0.5 with the update you want to be ignored. So now you can install updates from the terminal, but there are some more commands for updates. to see the list of all command execute this command in terminal. And you can see the list of all available commands for updates.